X-Navi:Et was born as a side-project of Rafał Iwański, one of the members of HATI collective. Although I’m not sure if I should still use the term “side project”, as currently X-Navi:Et seems to be more active than the main project. Rafał focuses on it in terms of both recording new material and playing live. The last HATI album was released in 2015 – in the meanwhile we got Vox Paradox material, an full length album called Technosis and now Machina Nova, a CD including also Vox Paradox, which was previously available on tape only. HATI is a three person ensemble, so it is sort of the sum and essence of three ideas and views on music. With X-Navi:Et we have an insight into a single artist’s creative mind. But I have to admit that – on the contrary to Dead City Voice or Brain Overloaded – this CD gets pretty close to the HATI spirit. First of all, this time he travels far from the (dead) cities. Far from the turbulent, modern world. The music on Machina Nova happens to be turbulent as well, but more in a tribal, atavistic aspect. It all starts with the flute imitating the singing of the birds and then turns into the struggle between the drones, the ethnic instruments and tribal drums. This first track, Machina Nova has a strongly Eastern feeling, however weirdly it may sounds, but it’s like the primitive ritual, yet delicately saturated with Orthodox traces. It’s like living in a village, having your own primitive gods and beliefs, yet you see the towers of the first church that has just been built on the horizon. Machina Nova. The New Machine. I love how the folk and ethnic sounds intermingle with the electric, drone textures, as they go hand in hand. A struggle, yes, but fair and balanced. Both parties have the same chances, you don’t have the feeling that one aspect dominates over the other. Also it has to be said, that Rafał doesn’t use the ethnic elements in the typical way, you know, like many others do, in quite a cheesy manner reinterpreting on synths the simple melodies they’ve heard somewhere. The melodies on Machina Nova may not be very sophisticated either, but they’re something different – they’re filtered through a modern and creative soul of a person not only having different, wider technical possibilities (because a lot of sounds have been created using real instruments, not electronic surrogates, just like folks were doing many centuries ago), but also having an open mind and awareness that the music is timeless. Some sounds may seem old, but if you use them in a proper context, this fact becomes insignificant. All this refers to the first six compositions, forming the Machina Nova segment. 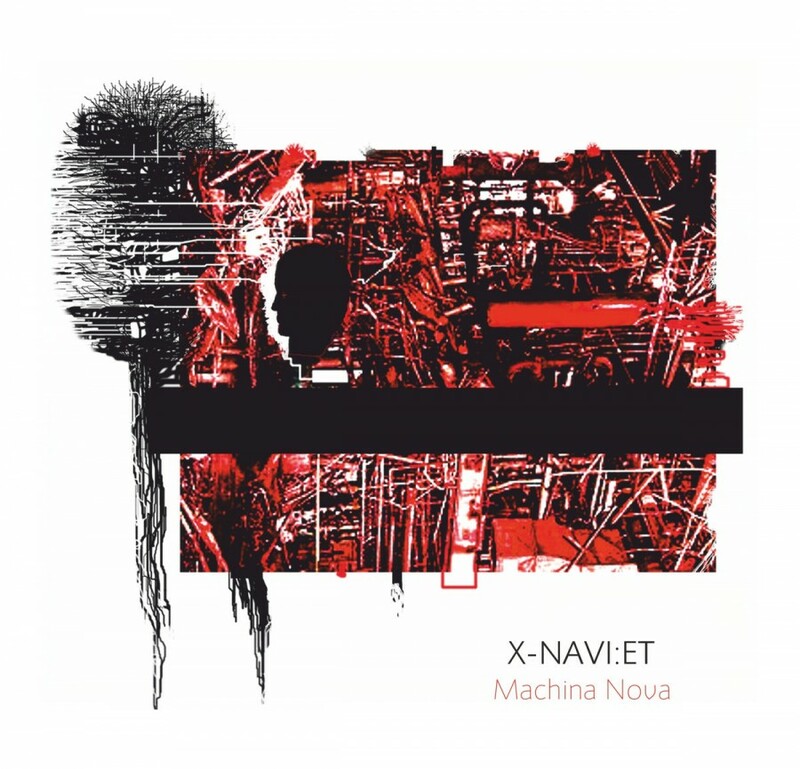 These are probably the most catchy pieces from X-Navi:Et so far, just check the melodies on “Weltschmerz” or “Neo Primitiv” (what an apt title). Of course it is all based on adding loops until the track reaches its climax, but it sounds really cool. The compositions 7-12 are taken from a tape released by the Wounded Knife label in 2015. These are closer to cities, but quite vague ones, suspended in time and space. You get a bit of industrial harshness here, without any extremities, obviously, but you’re not on a forest meadow anymore, around a bonfire, rather you are in the sewers under a dystopian megalopolis, where ancient rituals are still practised. Yeah, I know I’m simplifying here, but you get the idea. Still, a tribal feeling is present here and there as it is Rafał’s trademark, just like this “neoprimitiveness”, a certain idea around which all Rafał’s projects are built. Like in the amazing “E System X” piece. On the other hand, you’ll get a jazzy trumpet in “Machina”. So… expect a mix of organic and electric, the ancient and the modern. And the unexpected.